Finding the right gift can be a damn near impossible task. Not only do you have friends and family to worry about, but if you’re lucky enough to live in a friendly neighborhood then you may want to send something over next door. And if you have kids, well, that includes all their favorite teachers as well! The holiday season is already a tough time for the wallet, so you really can’t always afford to go out and buy everyone the best of the best. This is where we step in to save the day. 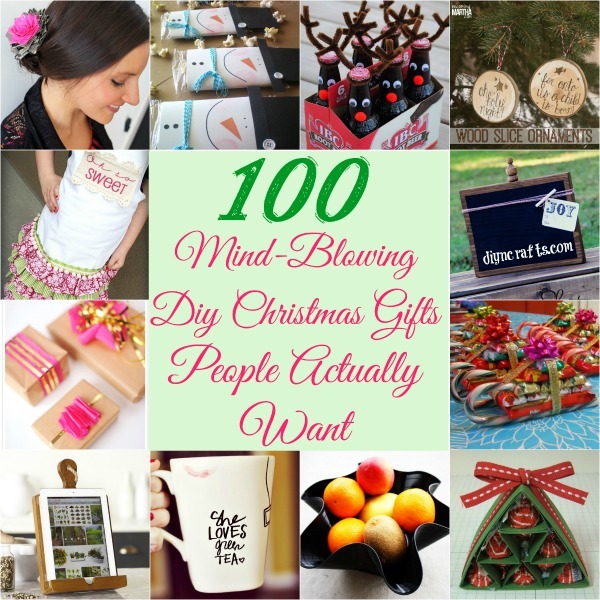 We’ve compiled a list of some of the most thoughtful, innovative and creative Christmas gifts that you can make or put together yourself that won’t break the bank and also won’t take up too much of your precious time. Some may say it’s the thought that counts, but constructing something with your own hands and time can be so much more meaningful. We all know that feeling when your little one declares that he or she wants to hand out gifts to the whole class; it’s adorable that they want to give, but it also spells trouble for you! 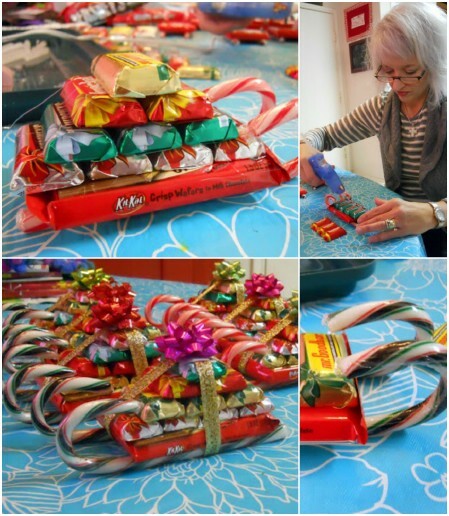 These quirky candy sleighs are the perfect solution; they are cheap and easy enough to make a whole bunch in no time, and your little one can also get involved in the process so that you aren’t the one doing all the work. 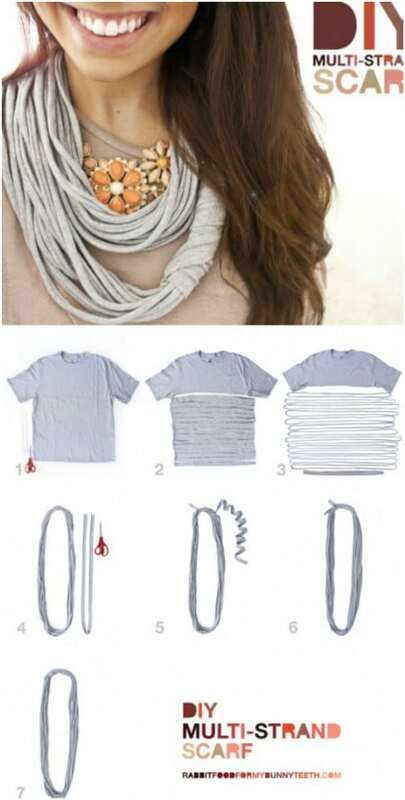 Using just an old t-shirt, and a pair of scissors, you can make this stylish multi-strand scarf within 10 minutes. 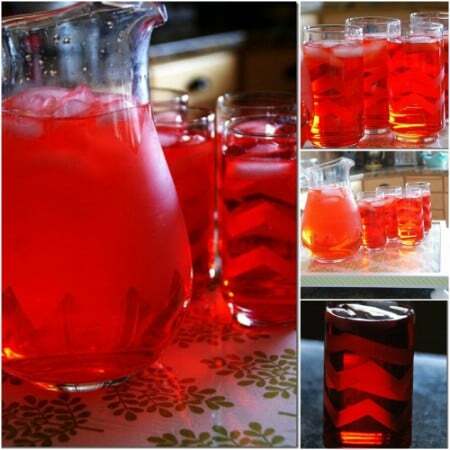 You can even use two different colors to liven it up even more. The best part is that there is absolutely no sewing involved! It looks like a snow globe, it shakes and snows like a snow globe, and it… tastes like a snow globe? These things are pure genius. A delicious twist on an old favorite; what more is there to say? This vintage tech travel organizer is just so damn clever! It’s easy to find a cheap vintage book at a second-hand bookstore; remember, all you’re looking for is one with a cool cover so it’s worth spending a bit of time looking for the perfect one. 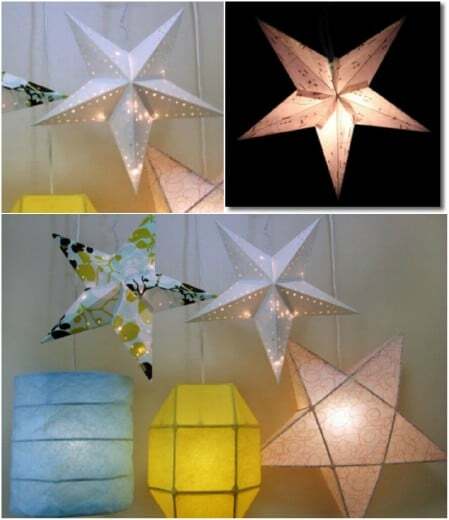 These star lanterns are absolutely gorgeous, and with the differing sized templates, making them shouldn’t be too much a struggle. And since you’re the creator, you can use any beautiful paper that you find in your favorite craft shop. 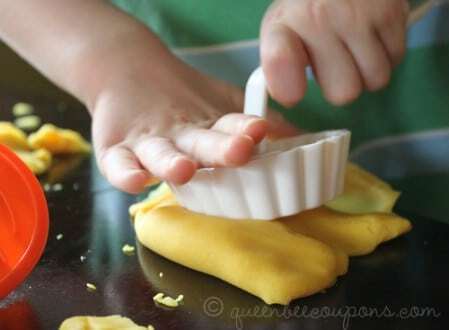 Sure, play dough isn’t all that expensive, but if you make it yourself then you know exactly what goes in it (so that it’s safe and non-toxic). Plus, you can make it smell yummy, and you can make a whole lot! Just make sure to store in an airtight container. 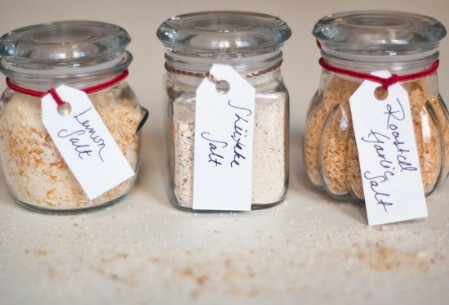 A small collection of flavored salts could be the perfect DIY gift for anyone who loves to spend their time in the kitchen. They’re sure to love these three recipes; and there are lots more to be found online if you want to expand your collection. 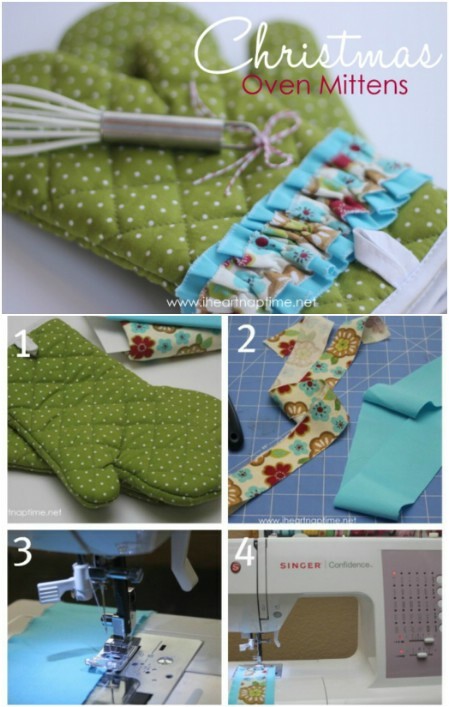 For your foodie friends, jazz up a boring pair oven gloves with a bit of pretty fabric and your sewing skills. We love how simplistic yet effective this is! 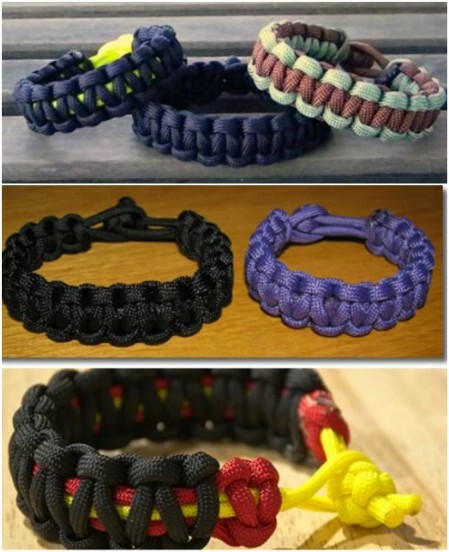 If you have an outdoorsy man in your life, perhaps you could make him this really cool paracord bracelet. It’s thick and chunky without being overbearing, and if he ever finds himself in a tricky situation, he could actually use it to help build a shelter. This gift should go down really well with any of your fashionista friends; making it isn’t really complicated, but they’ll be so impressed with your handiwork! We love this novel idea that’s really affordable and easy to make – you just need time for everything to dry in between crafting. 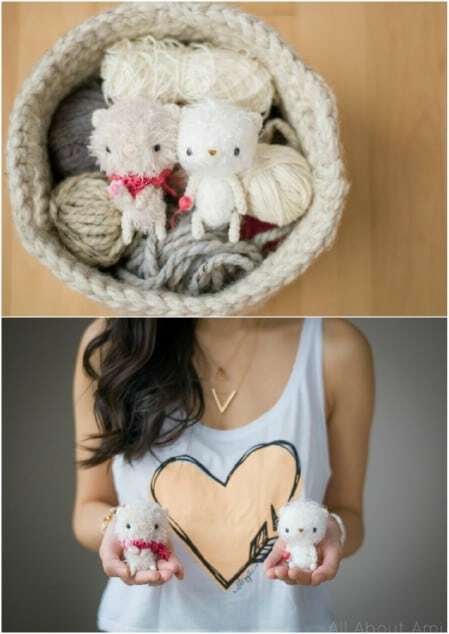 Make a nice set with your own accessories (doesn’t have to be buttons) and then neatly package them as a cute and useful gift. If you love the chalkboard trend as much as we do then why not make your own custom chalkboard to give away? These are great in kitchens so that people can write their grocery lists; teachers might love them too. Don’t be afraid to get creative with the wooden frame part: you can paint it in a different color or even introduce a pretty pattern or design of some sort. 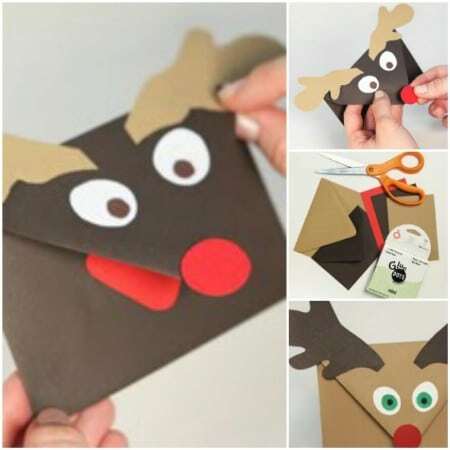 If you’re giving a gift card as a pressie this year then you could make this darling Rudolph envelope to house it in. It doesn’t require much time or effort, but it looks so much better than the original sleeve you get with the card. Keep it festive! For someone who loves to spend their time cooking or baking in the kitchen, get them a lovely set of kitchen utensils that you know will be put to good use. 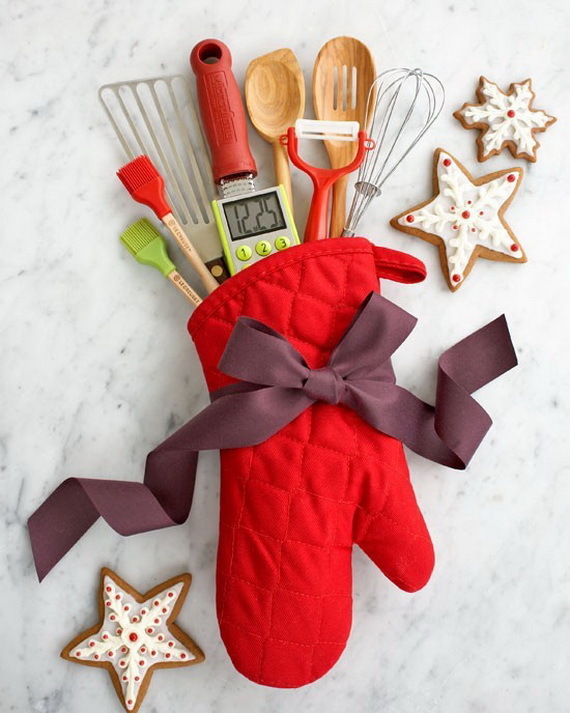 We love the idea of keeping them together in a traditional, modern or whimsical oven glove, embellished with a neat bow. Sometimes, a six pack or two of your favorite beer can be the perfect present. 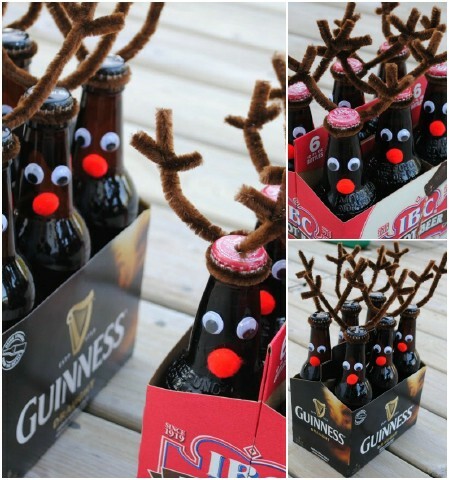 But don’t be boring about it; turn them into cute little reindeer so that the lucky receiver can still enjoy the holiday spirit while knocking back a cold one. 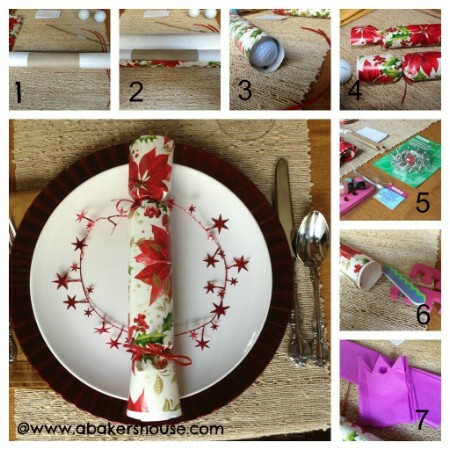 What is Christmas dinner without the traditional cracker to pop? You can customize these so that the recipients actually get a little something that they would like instead of the usual silly trinkets that no one ever keeps. Most of us women can never have enough of these little clutches; we use them as money and phone holders when dashing out to the store, as mini makeup bags in our handbags, as hair accessory holders etc. 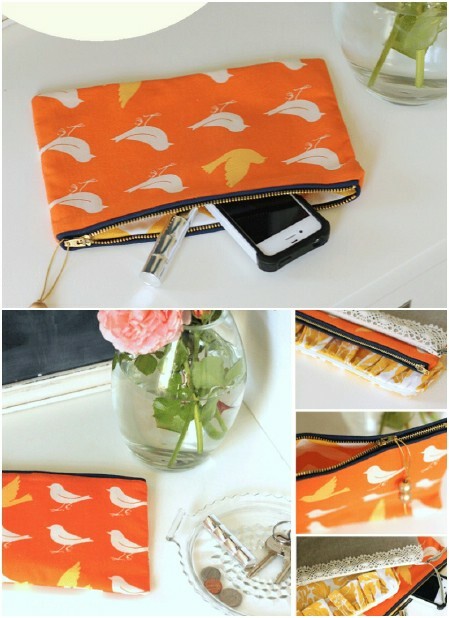 So go find a really pretty, elegant, quirky or fun fabric to make a lovely handmade zippered clutch for one of your girlfriends, mom, or daughter. When you get given a gift, obviously the first thing you notice is the wrapping, so that needs to be attractive, too. 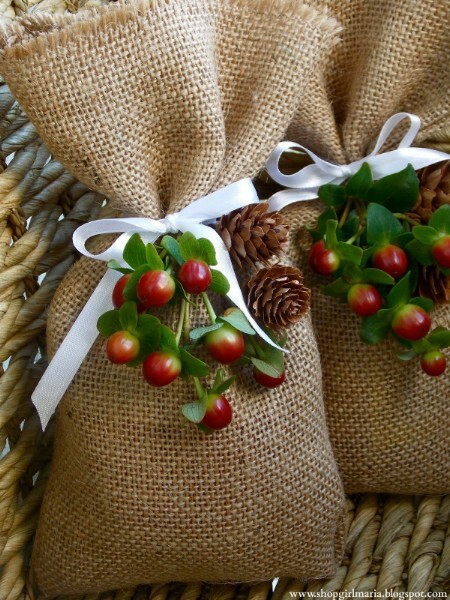 We found a really elegant and chic wrapping idea to dazzle your friends and family. The array of white, black and gold combinations will also look stunning under your tree. 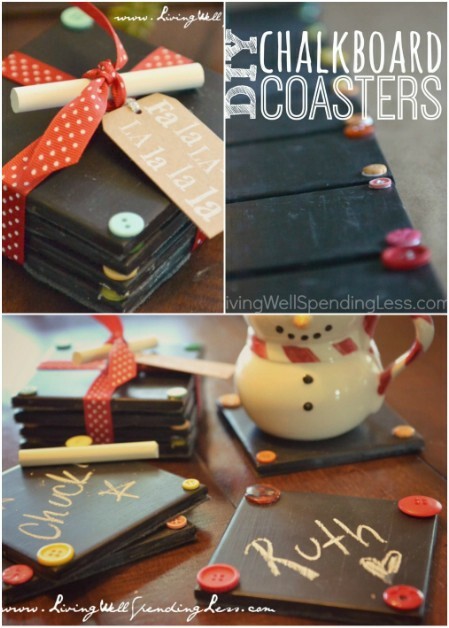 Here’s another fun way to wrap your gifts this year: give them the chalkboard look! 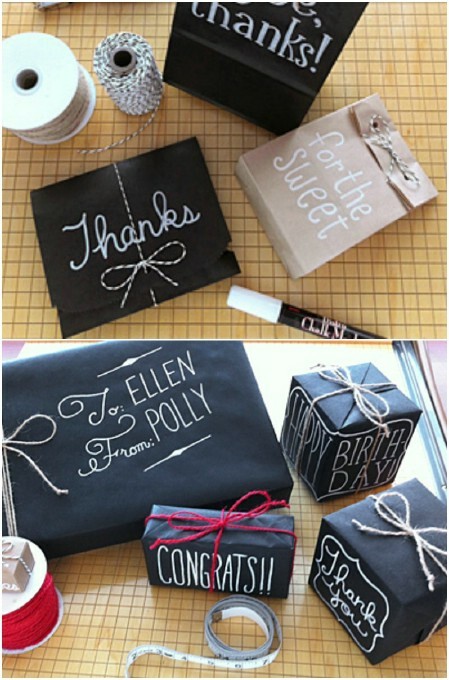 The gift wrap and chalk ink markers should be available at craft stores, so now your wrapping can be as personalized as the actual gifts. 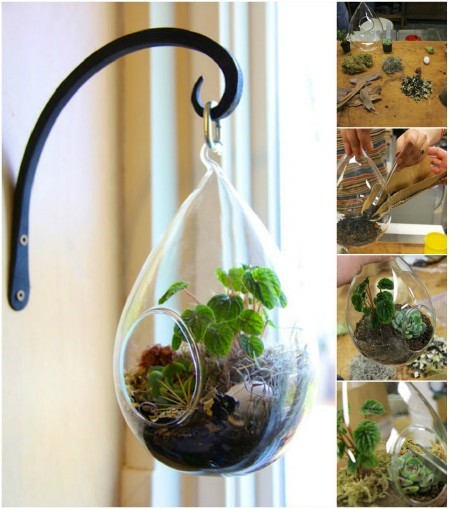 A terrarium is a lovely way to introduce some nature and life into a space like an office or a classroom. You could make one large statement plant arrangement, or a bunch of smaller ones to line a windowsill, for example. 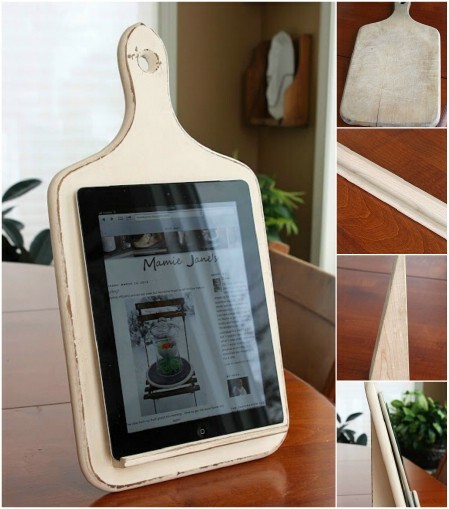 An old wooden cutting board is easy to find at a thrift store; with just a few additions here and there you can turn into a lovely vintage-looking iPad/tablet holder. Now your foodie friend won’t have to worry about accidentally getting some flour-stained fingerprints all over their expensive gadget while working from a recipe. 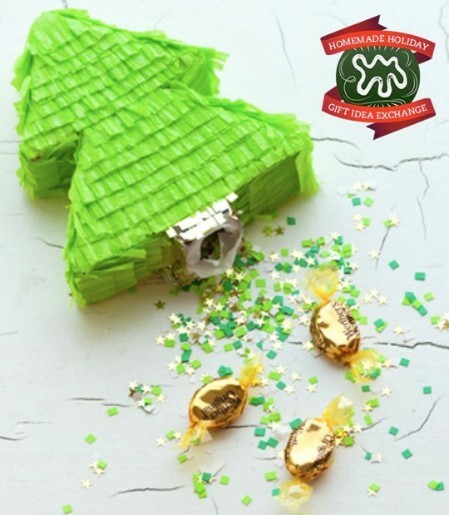 Piñatas aren’t just for kids’ birthday parties; now they’re for Christmas too! This tutorial offers a template for the tree itself so the instructions are pretty easy to follow. 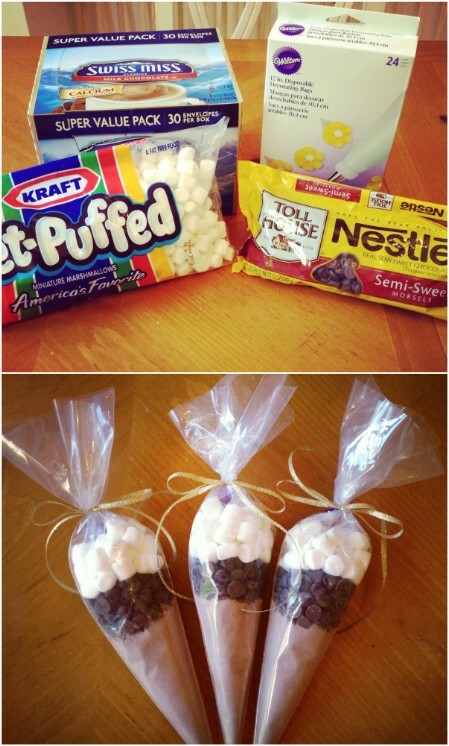 It should only take you about an hour and a half to make this adorable party favor. 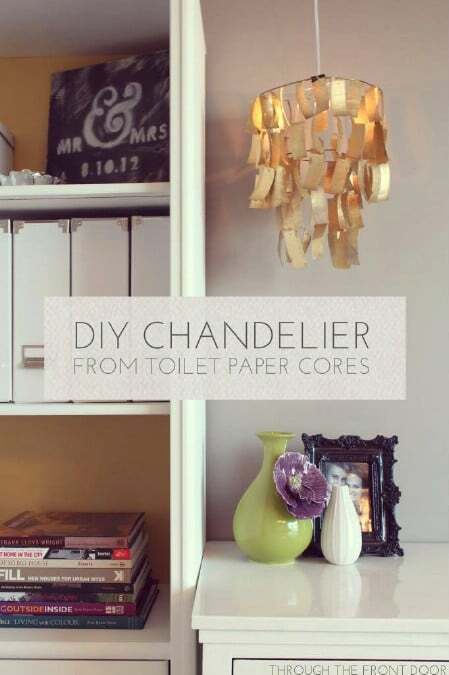 This chandelier looks really elegant and expensive; no one will ever guess that you made it from toilet paper rolls! We really love the metallic gold finish, but you can tailor the color to suit the home of the lucky recipient. Anyone who has a pet would appreciate a little something for their furry friend; this really is such a novel idea. There’s a template that you can download for the bag decoration, but don’t be scared to design something yourself. Everyone has some hot beverage that they love; whether it’s tea, coffee, or hot chocolate. A personalized, hand-drawn mug is an excellent idea for those close to you. Some people have had mixed results with the Sharpie ink coming off after a few washes, so to be safe, rather get your hands on markers that are made specifically for ceramics (should be available at craft stores). Also make sure that you put the mugs into a cold (not preheated) oven, otherwise they may chip. This could be the perfect accompaniment for the personalized mugs you made! 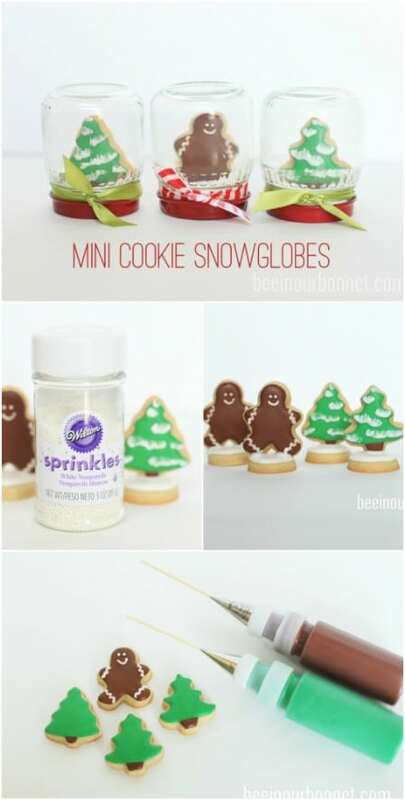 You can pretty up the piping bag even more by adding a little name card to the top and rolling the cones in some patterned wrapping paper or scrapbooking paper. Have any green thumbs on your Christmas list? 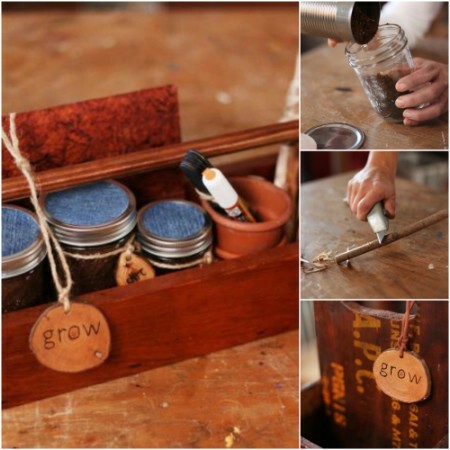 This homemade seed-starting kit is the perfect gift to help your friend on his or her own garden. Every minute they spend tending to it will remind them of you! This project is pure genius! You may have some of these lovely decorative cutlery pieces at home, or you could pop over to a second-hand store to get them at a good price. 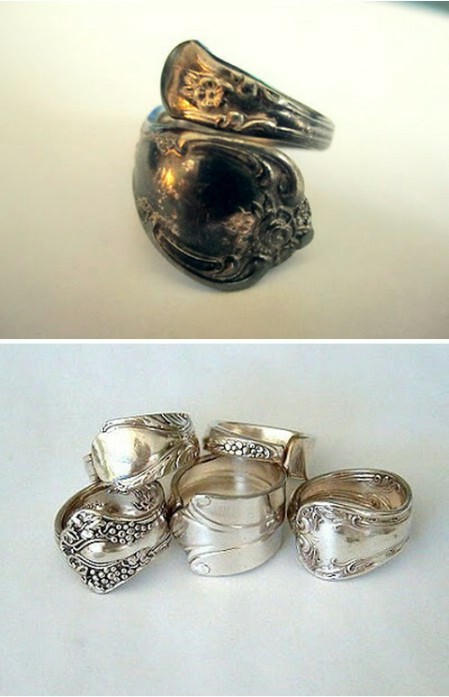 Who would have guessed that these stunning antique-looking rings were once used to shovel food into people’s mouths? What an innovate way to use a frame and a radiator grill! 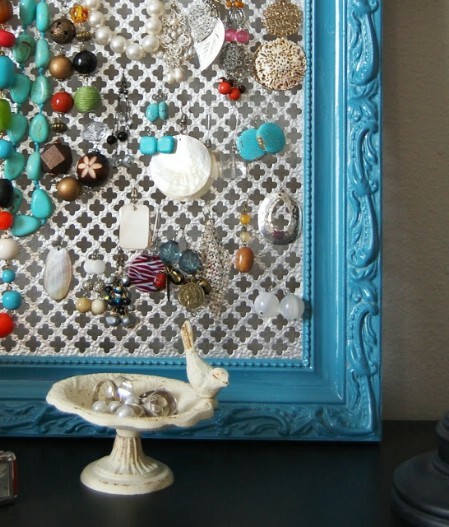 If you know someone who constantly has their jewelry spread all over the place then this is the ideal organizational gift; it’s practical and it’s decorative. If you can’t find an affordable grill then try chicken wire instead. 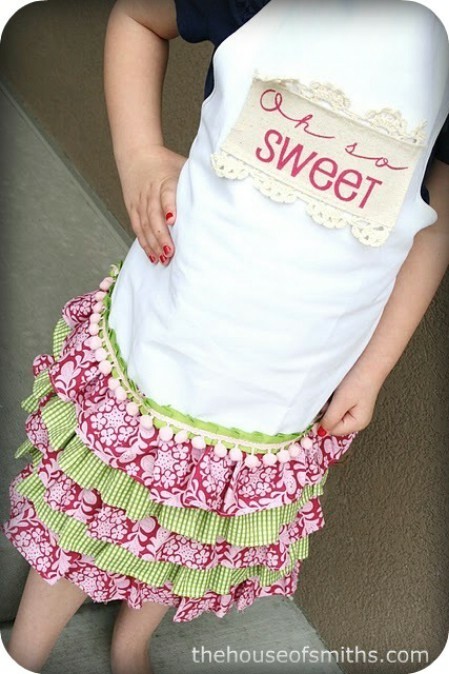 Put that sewing machine to good use and make your daughter/niece/neighbor’s daughter one of these adorable aprons. You may even have extra fabric lying around so that you don’t even have to head out. Looking for something for your dad, brother or hubby? 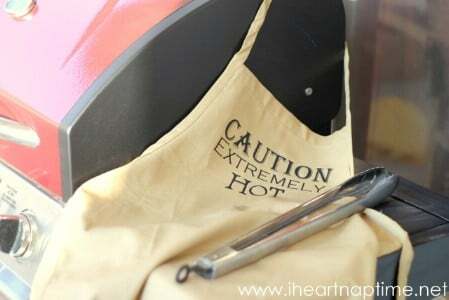 If he’s the type who loves to cook or work his magic on the grill, you could make him his very own custom apron. Plain aprons aren’t hard to find, and they aren’t expensive either. Then all you need to do is come up with something awesome to put on there. Giving someone a box of soaps that you made all on your own really shows that you made a lot of effort; knowing that someone took the time to think of you and make you something really is a wonderful feeling. The soap-making process really is a fun one, and you get to experiment with scents and colors. 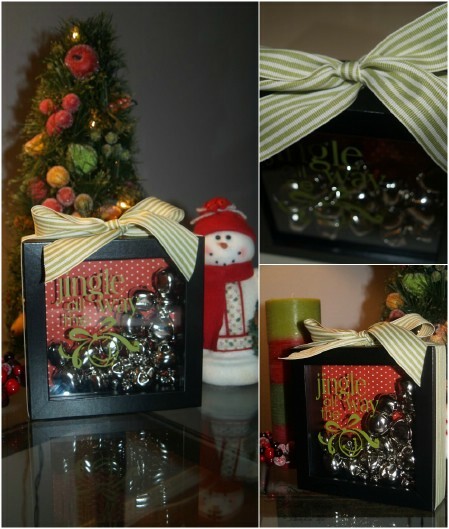 This jingle bells decoration is just so charming and creative; it’ll look great in anyone’s home! It’s also really fun to make since it is fully customizable in terms of bell colors (perhaps you want to go multicolored), frame, and background paper. Leather cord isn’t actually all that expensive; it’s incredible to see what a beautifully chic and elegant belt it can become. As long as you know how to braid, it’ll be a rather quick and easy project to complete. 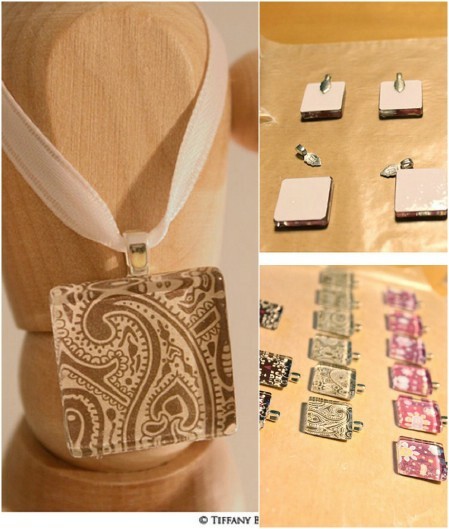 All you really need to do to customize these lovely pendant necklaces is to find some beautifully patterned scrapbooking paper. You should be able to find all the components at your local craft store, and then you just need a few minutes to expertly bring it all together to make these beautiful pendant necklaces. 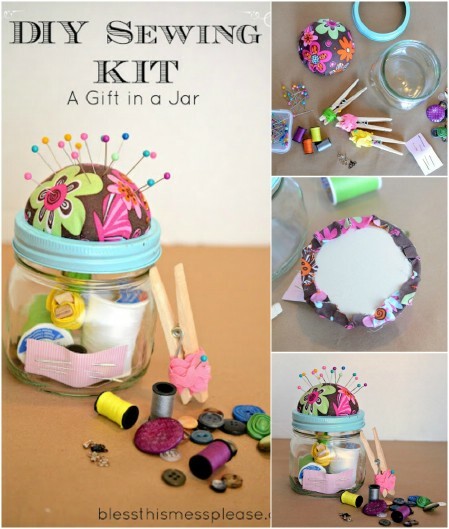 For some reason that we can’t explain, women seem to love jars, so this handmade emergency sewing kit in a jar is just too charming! We love the clever use of the pin cushion on the lid (fantastic space saver) and that you can use any type of funky material to make it look more interesting. The saying goes that the way to a man’s heart is through his stomach, but we’d like to include women in there too! 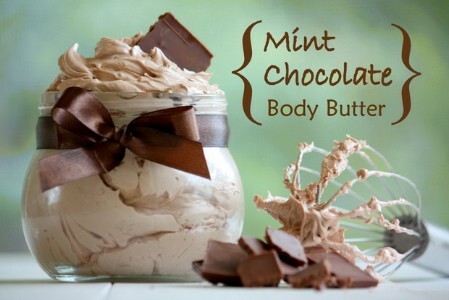 This is a great idea for practically anyone, since flavored butters can be refrigerated (and even frozen) for quite some time. 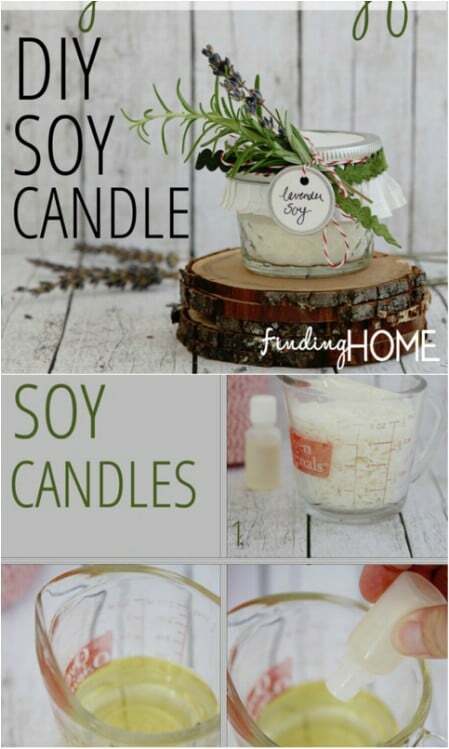 Homemade scented candles are perfect for teachers, coworkers and neighbors, and you really don’t need that much time to make them. Get a whole bunch of essential oils so that you can give them a lovely collection of different scents. 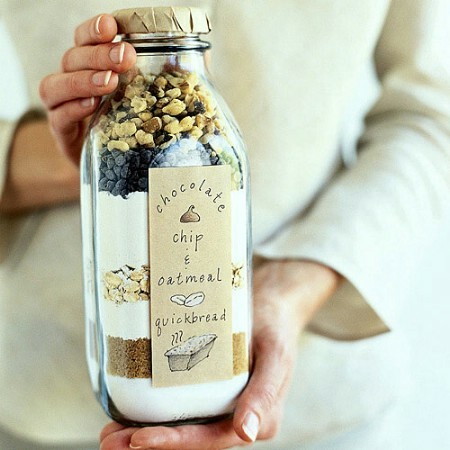 Make the jar look pretty and you’re good to go! Get your hands on some etching cream – it’ll open up a world of possibilities! This chevron pattern is quite tricky to get done perfectly, so let your imagination run wild; you can make practically anything. Everyone always needs some form of storage; whether it’s for magazines, kids’ toys, towels or crafting materials, they all need to be put away neatly. 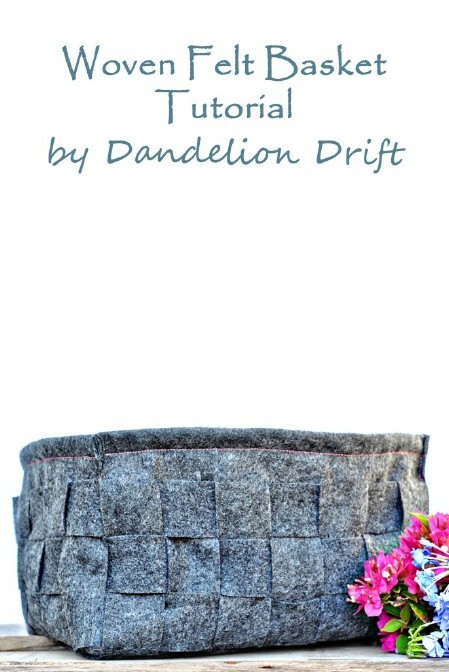 This felt basket offers organization in style! Yes, it smells as delicious as it sounds! Adding in some Vitamin E will help it last for as long as a year, but if you think they’ll use it all up within six months, then it isn’t necessary. 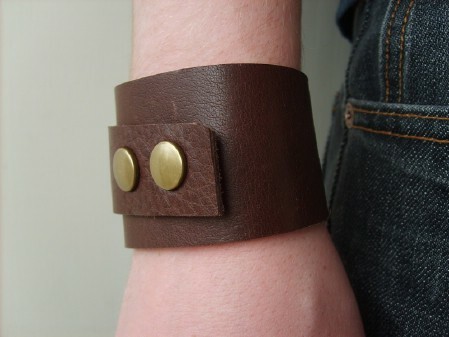 We absolutely adore this leather cuff tutorial; especially since it can be tweaked to suit either gender. Plain and simple goes a long way, but you can also play around with some embellishments if you want something a bit more decorative. Let’s be honest, we’re all pretty much attached to our phones these days since they do so much more than merely make phone calls. 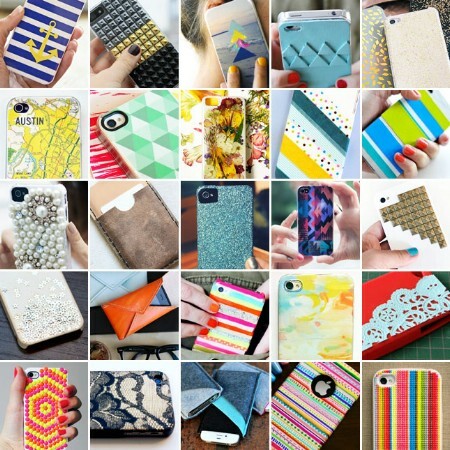 It’s actually really easy to make one-of-a-kind phone cases for your friends or family; they’ll love the personalized touch that simply can’t be bought in stores. Just make sure you know exactly what model phone the case is for! When it comes to food, we are of the opinion that homemade is always better than store-bought; it’s almost as if you can taste the love that went into it. 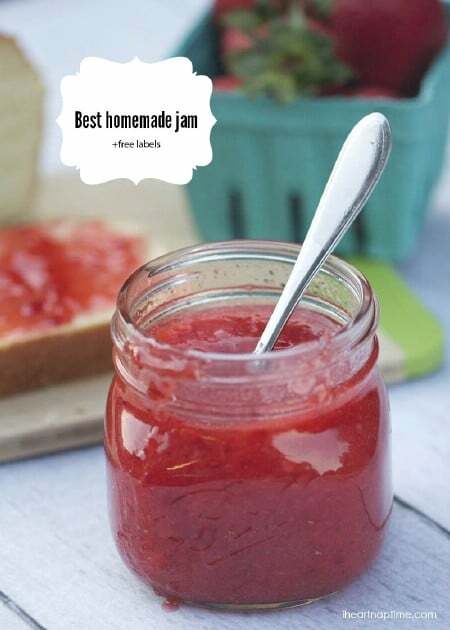 Here’s a great recipe for homemade strawberry jam. 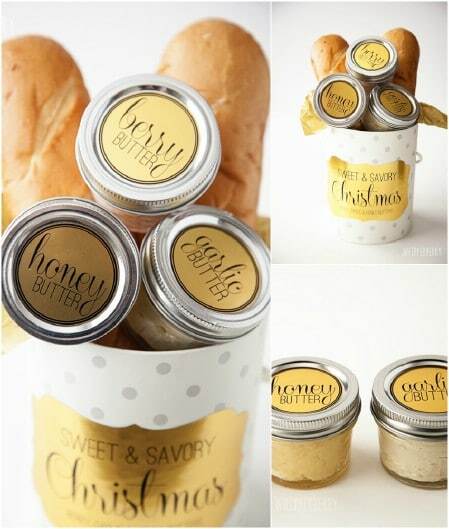 Get your jars and let the creativity flow with the decorating and labeling. Regardless of whether it’s a birthday, Valentine’s Day, or Christmas – chocolate is always a great gift! 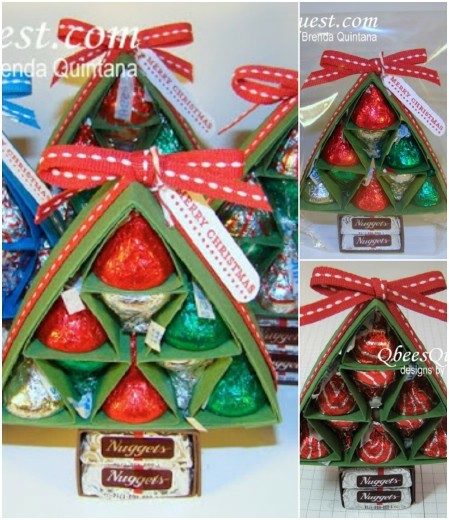 Instead of just handing over the regular, boring box, put some effort into it by making your own Christmas tree chocolate holder. The result is absolutely adorable, and the effort certainly won’t go unnoticed! Some people love writing in journals – it’s a really therapeutic way to document important parts of your life and it is so much fun to read over them after a few years have passed. All you have to do it is give a regular journal a pretty cover, and maybe even write a personalized note on the first page. We are absolutely obsessed with these bracelets: they look awesome on your wrist, require minimal effort to make (about five minutes each), and you hardly need any additional supplies. Too keep your costs even lower (bet you didn’t think that was possible! ), cut up an old t-shirt instead of purchasing jersey knit fabric. DIY Instructions and Project Credit – VAndCo. This one will take up a little bit more time than most of the others, but wowee, the result is absolutely incredible! 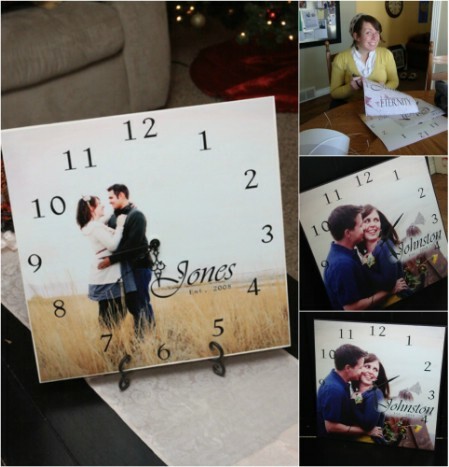 A clock with personalized photo or image of something they love is just so special; your loved one will be so surprised to learn that you actually made something that looks so professional (not that they ever thought you weren’t capable!). 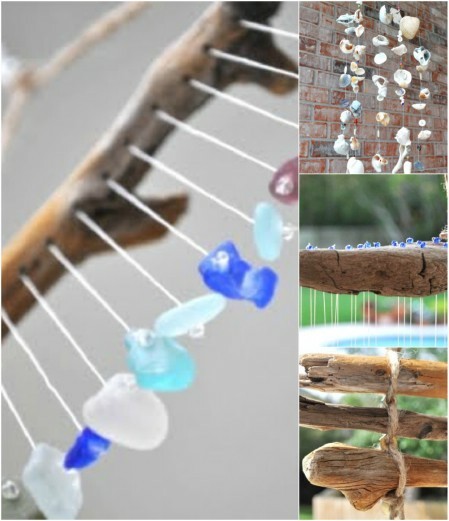 These gorgeous wind chimes can be made from anything you would pick up on the beach. The natural elements and artistic look really have a soothing and calming effect whether you hang them inside or outside the home. 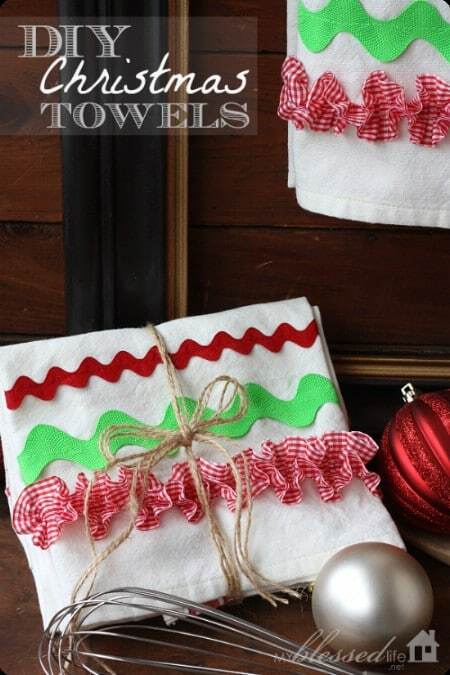 Kitchen towels can be really inexpensive—especially if you get bulk discounts or sales—and they can be jazzed up with just a bit of interesting trim. You don’t necessarily have to go with the Christmas theme here; you can pick something to match the color palette of your friend’s house. 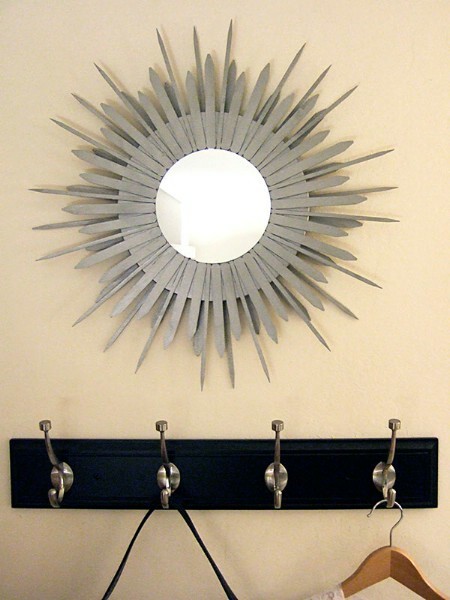 Who knew you could make something so beautiful out of duct tape? Once you get the hang of making these lovely rosettes you can create rings, earrings, hair accessories and even brooches. Surprisingly, gift baskets aren’t all that expensive to make if you just shop at the right place and know the person well enough to give them just what they love. 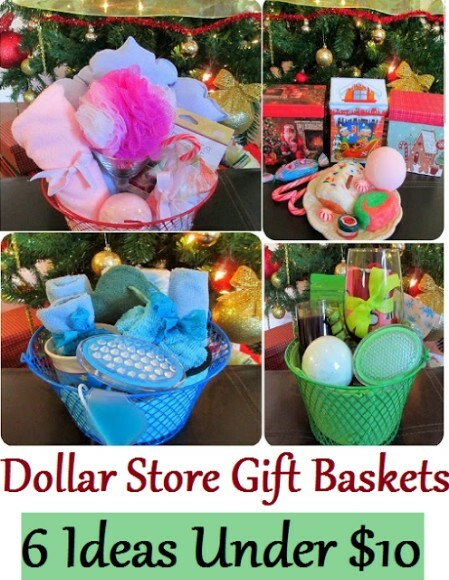 This tutorial shows gift basket ideas for six different types of people, all of which cost under $10! Prices may have gone up slightly since 2012, but it’ll still remain affordable. Who doesn’t love the combination of a good pun, choccies, and a kitchen utensil? This gift is super easy to assemble, and honestly, we find it super cute. Instead of just going out and buying your little niece, cousin or daughter a teddy bear, you can make your own in no time at all. These little bears are just so endearing, and it always means so much more when someone’s actually made the effort and taken the time to make the cute fluffy teddy by hand; it just gives it so much more character. Hot water bottles can get quite annoying when you have to wait for the water to boil, and there’s always that looming danger of scalding yourself with the water. 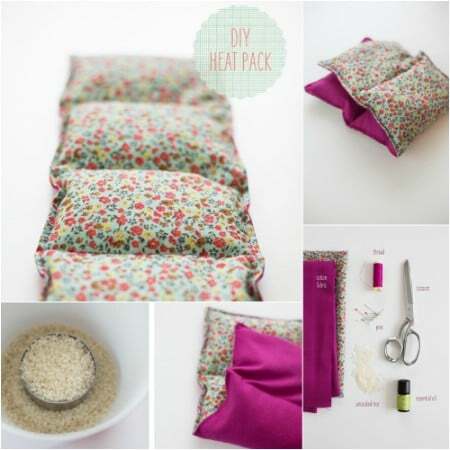 These DIY heat packs, on the other hand, are way more user-friendly. Take note though, no water should be added to the rice – it could cause the rice to cook and grow mold after a few stints in the microwave. This photo display is so much better than a regular photo frame, and since you made it by hand, it’s even more special. You can let your creativity roam free with this one because you can paint the board practically any color, and there are a million and one ways to decorate it. Most of us need that cup of coffee in the morning to help us transition from the sleep phase to the wake-up-and-get-busy phase. Others, however, are a little more obsessed with coffee than the average person. 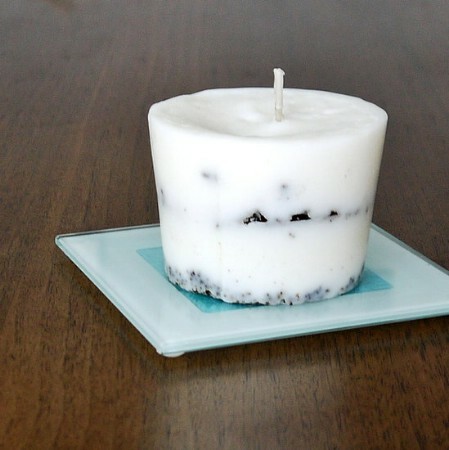 Make this used-coffee candle for that person. This is such an awesome idea for any music lover; we love the retro feel of the finished product. 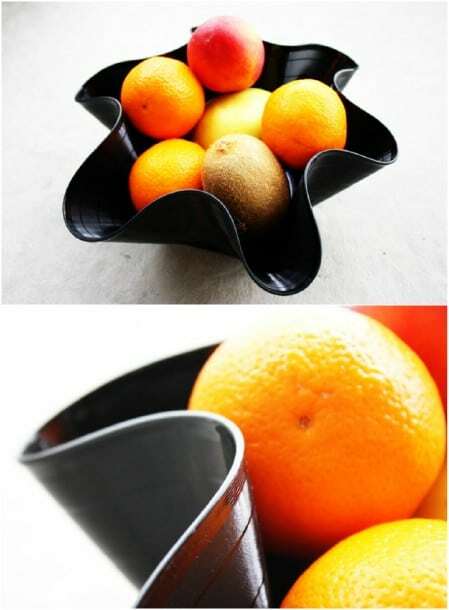 You can even paint and seal the bowl after melting if you want something other than black. 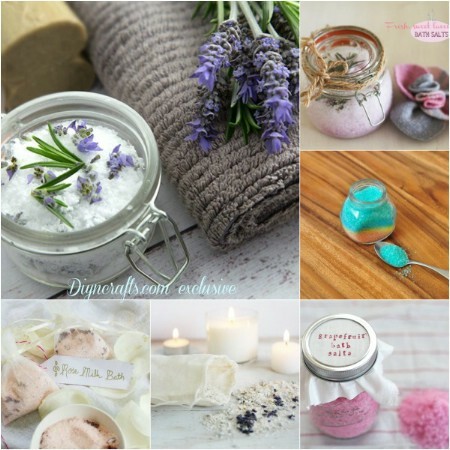 Sugar scrubs are the ideal gift for nearly any woman: they are fragrant beauty products with great moisturizing and exfoliating properties. We love the little candy cane stripes, and you can feel free to use any type of essential oil that pleases your nostrils. 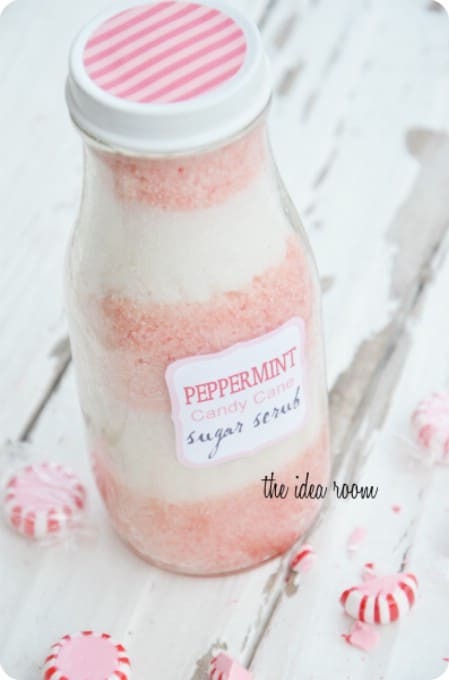 Bath Salts are a cinch to make and are a great addition to anyone’s bathtub. Not only do essential oils smell incredible, but they each have their own functions; from treating pain, skin irritations or anxiety, to fighting the flu or insomnia. So you can customize these to help the recipient relax and treat them at the same time! 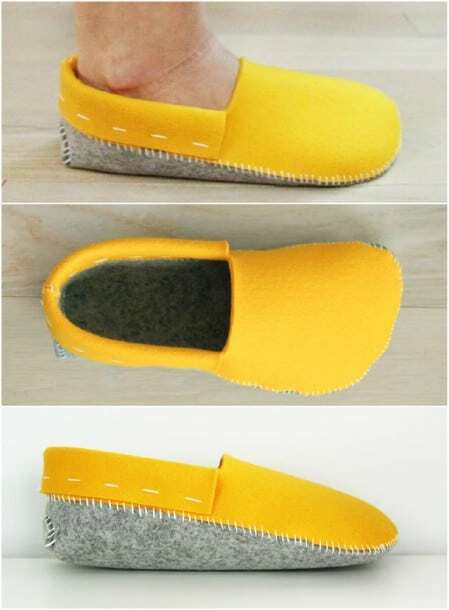 Make sure your loved one’s feet stay warm and cozy by making these awesome two-tone felt slippers. If you’re worried about slipping and sliding on tiles or wood flooring, you can purchase some non-slip fabric to stick to the bottom of the slippers. Have a friend who absolutely loves popcorn? 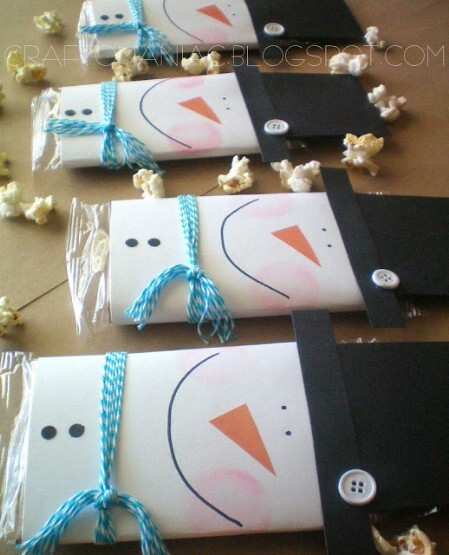 Instead of just giving them boring old popcorn packets, turn them into cute little smiling snowmen. The effort will surely be appreciated. We love the natural rawness of these beautiful ornaments. You don’t have to keep them specifically Christmas-themed, you could draw interesting patterns or designs or use a stencil if you don’t feel comfortable going freehand. 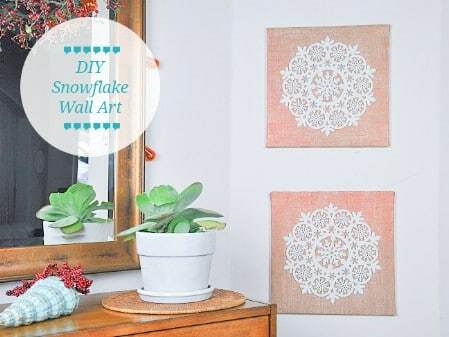 These can hang anywhere in the house, or you could even glue a piece of felt to the underside to make a set of coasters. Making your own lip balm is pretty easy to do, and you can customize it with different “flavors” and colors. 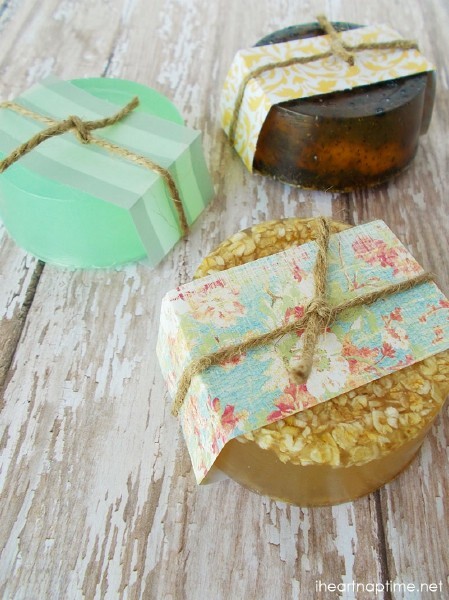 Create your own pretty labeling and you have an instant winner! 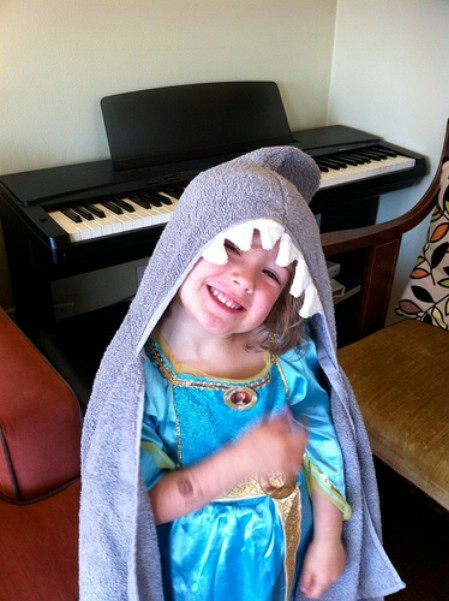 What’s not to love about a shark towel? 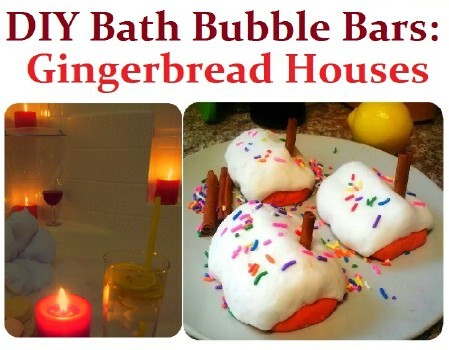 This is so cool for any little one, and it’s not that difficult to make. We’ve all seen these themed hooded towels in the stores, but making your own works out much, much cheaper. 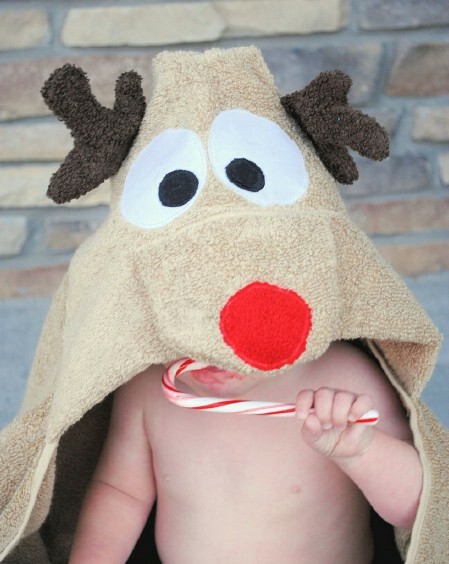 If you love the hooded towel idea but want to stick with a Christmas theme then get to work and make this adorable Rudolph one. The tutorial is really easy to follow once you’ve downloaded the pattern pieces. Okay, so this one is just too awesome! Kindle, iPad or tablet cases can get really expensive, so it’s crazy to think that you can make your own for a fraction of the price. And since you can put your own spin on it, it’ll look even better than those pricey ones in the stores. Men are notoriously difficult to find gifts for, so here’s a great idea for any barbecue-loving male. 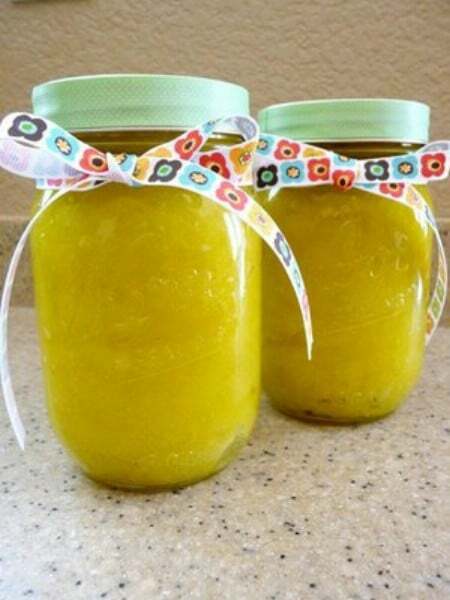 Make a selection of rubs and use your creativity to decorate the jars or tins. These rubs can be used on nearly all types of meats, and even on vegetables. 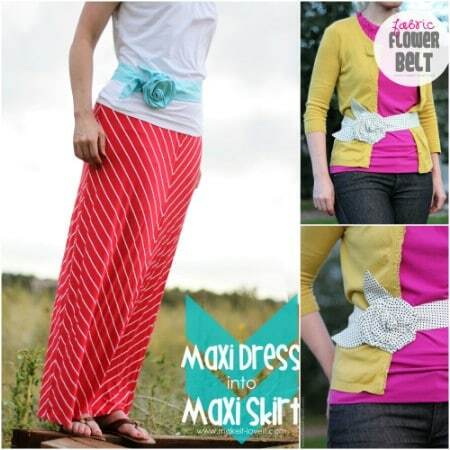 You don’t have to be a master sewer to make a stunning, stylish clothing item to give away. This draped, scalloped skirt is just to die for! 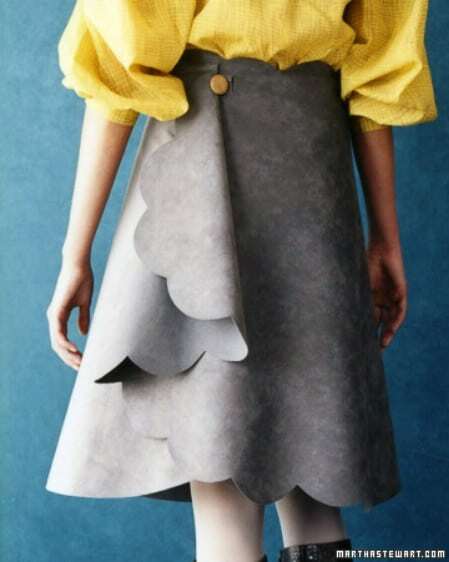 Make sure you use a suede-like fabric since it’s a heavy fabric that will both hold the lovely A-line shape of the skirt, and also won’t fray where it’s cut. If you have a glass vase tucked away that you hardly ever use anymore, revamp it with this modern and elegant gold-dipping technique. Add a bunch of gorgeous flowers (because you can’t give away an empty vase! ), and there you have a lovely gift idea. Do you have a friend who is constantly on the go with her laptop? 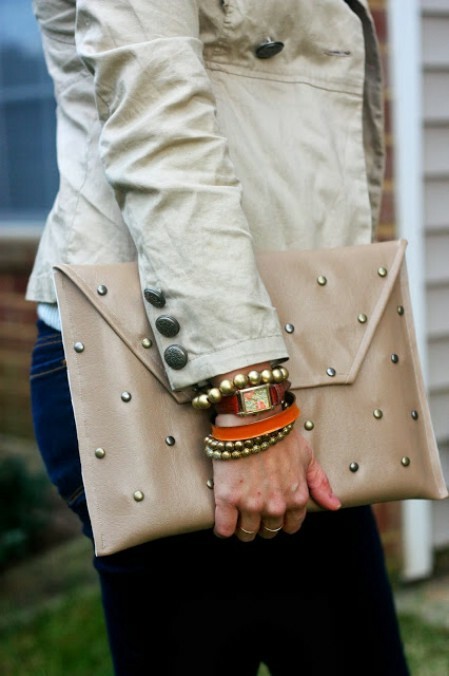 Instead of carrying around the usually boring-looking laptop bags, why not make her a stylish clutch envelope? You can decorate it however you see fit. 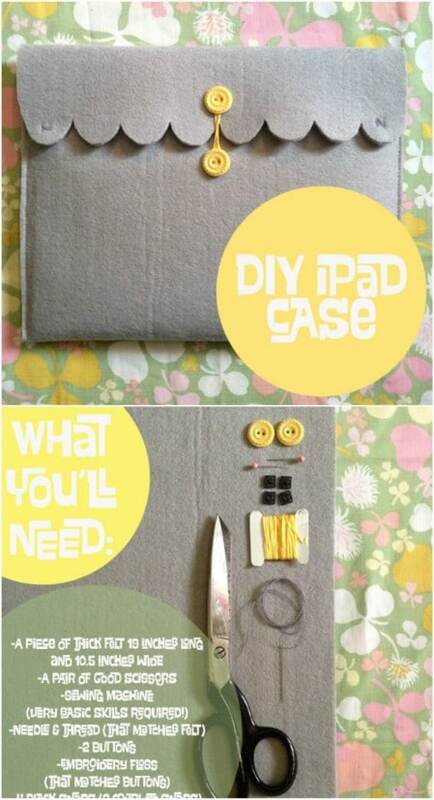 You could even adjust the measurements to make it fit an iPad or tablet instead. If you want to make something really special then this is it. 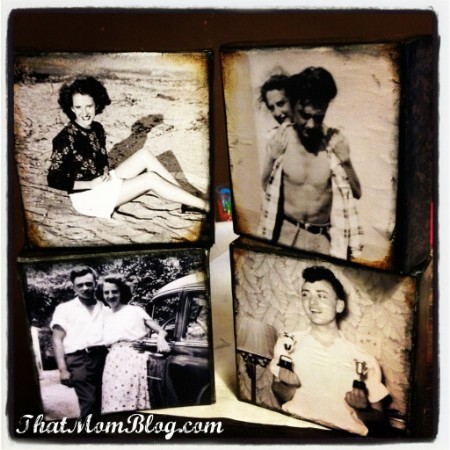 This tutorial offers a simple way in which to display photos that far surpass any frames that you can buy in a store. The vintage look and feel really gives it that something extra. Who would have thought that a matching plate and bowl could be glued together to make such a charming cake stand? 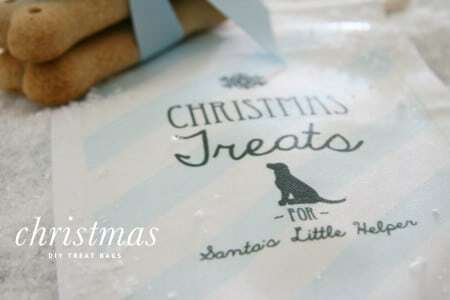 It doesn’t cost much to do, and the addition of some delicious treats and personalized wrapping makes this one a real hit. This is one gingerbread house you will not want to eat! These cuties get thrown in the tub for a nice, relaxing soak and unwind after a long day. Have a friend who’s a seasoned traveler? This cork travel map should really impress them; you can make one of any country that you know they love, or if you have the time, make the entire world. Make it interactive by adding little pins that they can use to indicate where they’ve been and where they still hope to go. Instead of a gift bag you can give a treat bag this year – fill it with homemade cookies, delicious loose leaf tea… whatever! We love the natural look and feel of burlap, and the neutral tone really lends itself to some creative decoration on your part. If you’re giving a delicate gift like a piece of jewelry, why not make your own stunning box to protect it? This tutorial makes it really easy since there is a template to work from; all you have to do is cut, fold, tie and decorate! 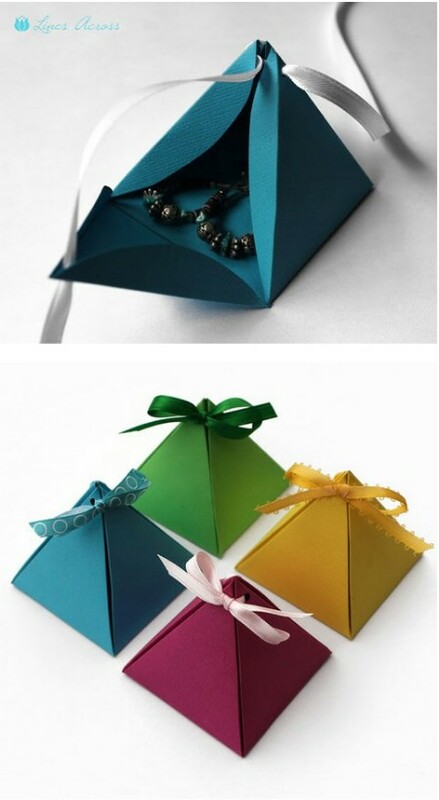 Looking for something to put in those cute pyramid gift boxes? We’ve got just the thing: earrings! 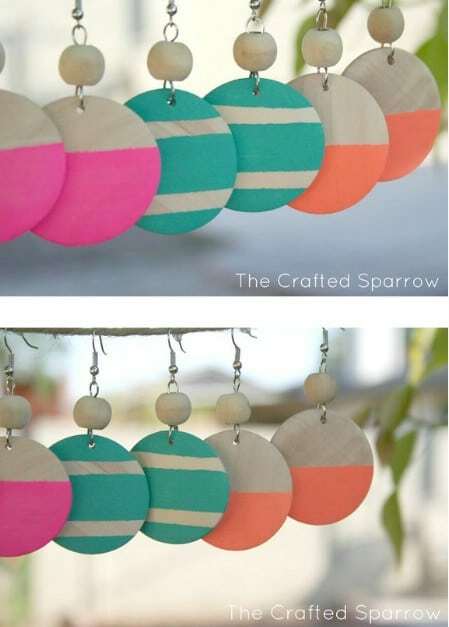 These plain wooden earrings aren’t hard to come by, so once you find them, it’s up to you paint or decorate them as you see fit. The best part is that they’ll be totally unique. 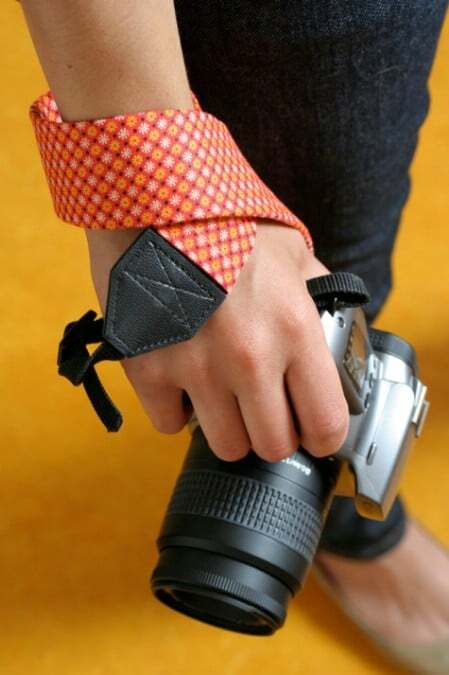 If you have a snap-happy friend who you need to get a gift for, they may appreciate this genius little craft: a customized strap to accessorize their camera. Give those boring Nikon and Canon straps the makeover they deserve! Homemade treats never, ever go unappreciated, and if you stick them in a pretty jar with some lovely decorations or embellishments, you’ve got a surefire winner on your hands. 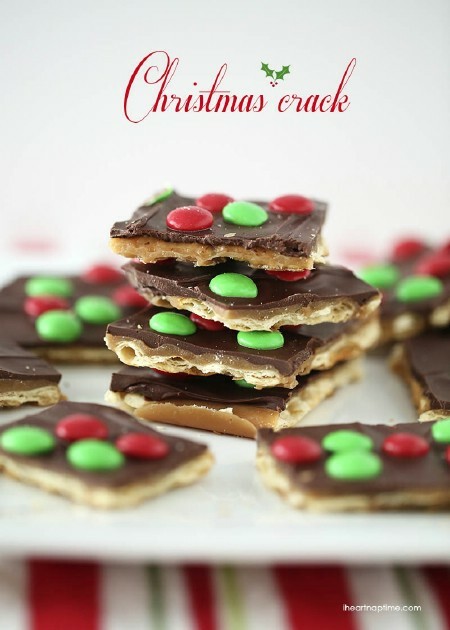 Just make sure to make a few extra of these sweet and salty delights; you won’t be able to stop yourself from munching during the process! This is honestly one of the cleverest concepts we’ve seen in a while: cutting up (free!) 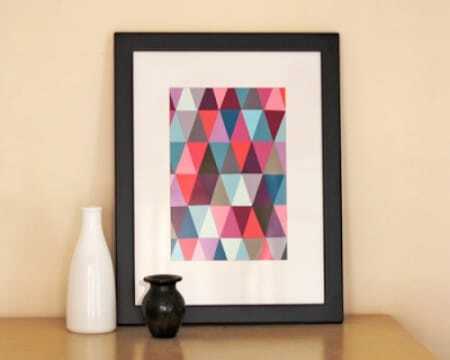 paint chips to make a really cool geometric and modern piece of art. You just need to get a straightforward frame. 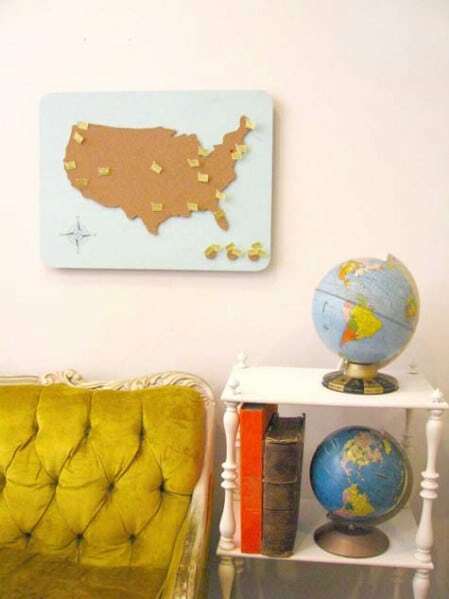 Now think of all the other things you could do with paint chips! Remember back in the dark ages when we still used floppy disks? 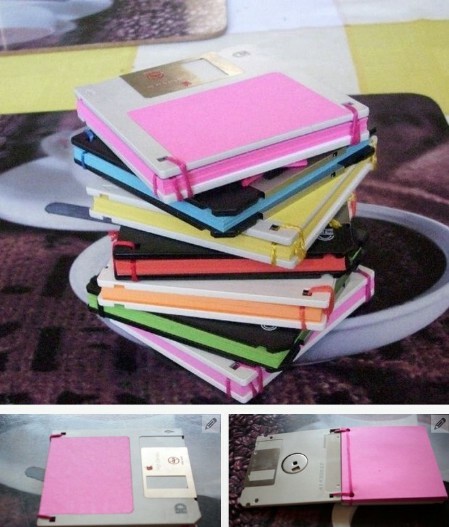 If you were wise enough to keep them, you can make these cool retro notepads that would look cool on just about any office desk. This gift idea is perfect if you have a relatively long list of who you need to get presents for. 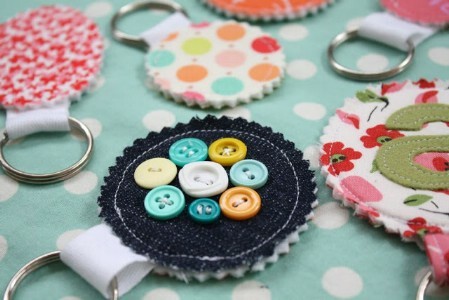 These key chains are so fun and easy to make that you can make a whole lot at a time and add some interesting defining features so that they’re all very different. 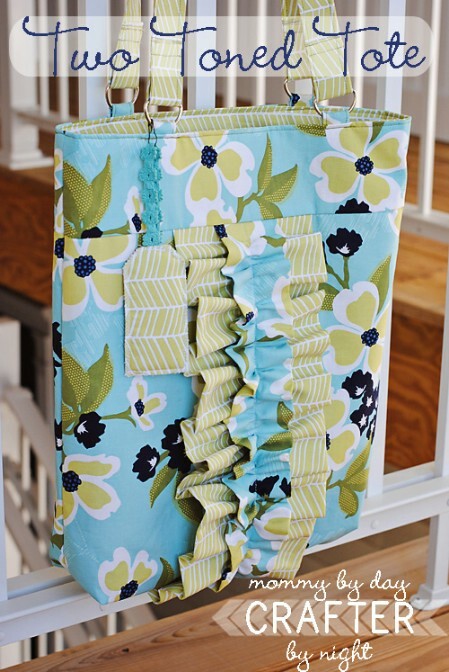 And since you only need a small piece of fabric, you can easily make use of those scraps you have saved. There seems to be some stigma around bread baking – that it’s really difficult to do. Give your friends the nudge they need to finally bake their own loaf so that they can see just how simple it really is! 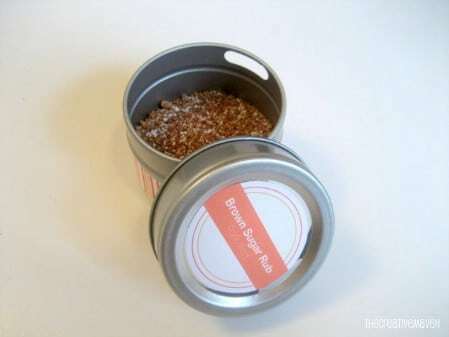 Make some pretty labels that include the recipe and make them promise to save you a slice for tasting. 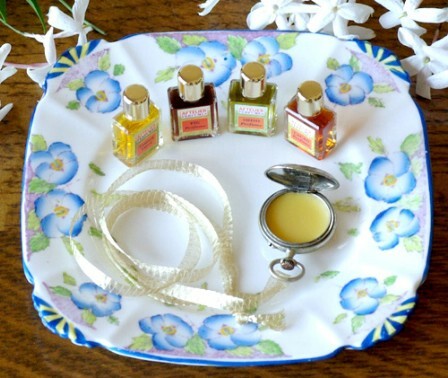 Carrying a small perfume spray in your handbag always runs the risk of it opening up or breaking and ruining your entire bag and its contents, so a solid perfume that you can make yourself is a fantastic and thoughtful gift to give. If you can’t seem to find a pocket watch locket, just get a small enough jar or tub and give it a pretty label. Whiteboards and chalkboards are cool, but they can be rather dull – especially as a Christmas gift. 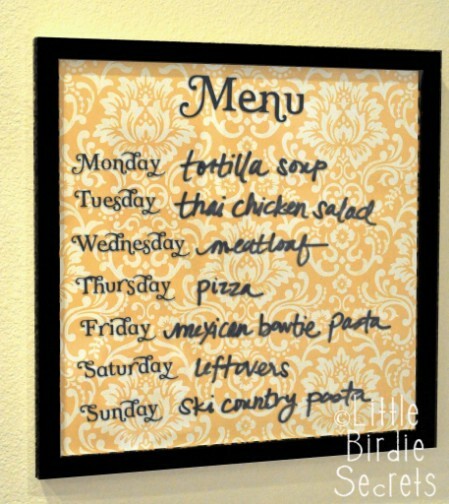 This idea of a frame-turned-writing board is so simple, yet so very clever. 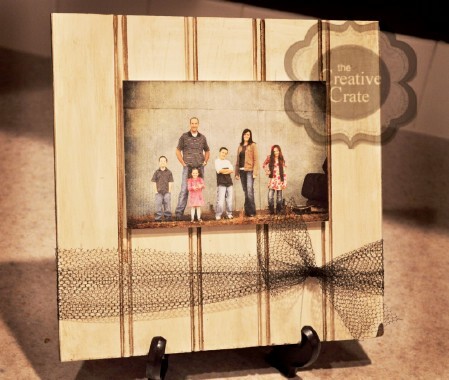 You can even embellish or paint the frame to match the scrapbook paper that you choose. New pillow covers are one of the easiest ways to give your bedroom or living room a new look. 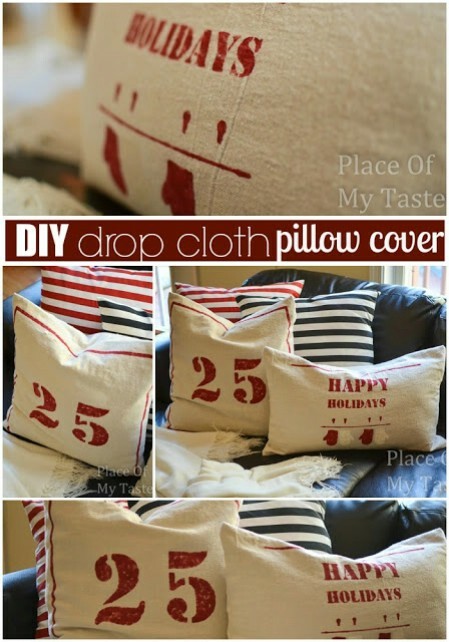 These drop cloth pillow covers are so simple to make that you’ll probably end up making a few for yourself while you’re at it. You can make them as intricate or minimalist as you want – tailoring them specifically to your loved ones’ style is what makes the gift so special (and the fact that they’re handmade, of course). 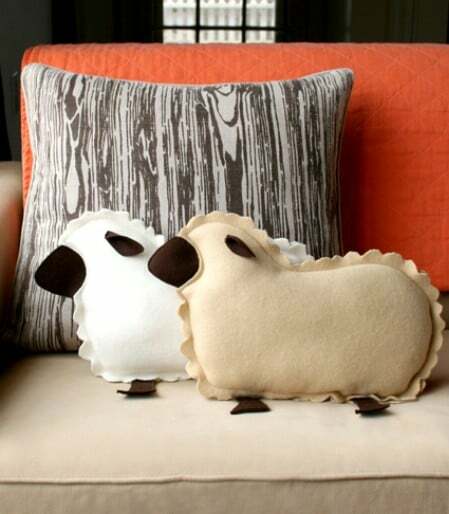 If you really want to go all the way you can make these delightfully adorable lamb pillows! You don’t even have to be a sewing pro to make these; the templates are downloadable and it goes a lot quicker than you’d think. These are just so damn cute that they’re actually perfect for all ages. Has it ever happened that you see a piece of fabric that instantly makes you think of someone? Instead of walking by with the thought lingering in your head, buy some of it and make that specific someone a tote bag with a pattern that you just know they’ll adore. 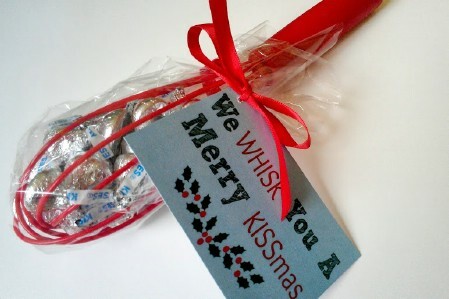 We are absolutely crazy about this creative and thoughtful gift. 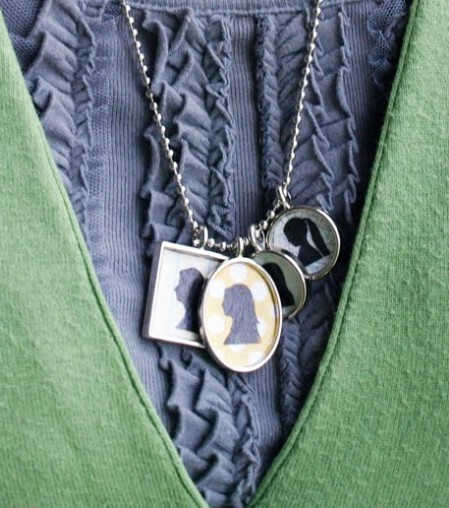 Use the silhouettes of all the kids for a mom, all the grandkids for a grandma, or even of your tight-knit group of friends. Chopping up onions not only makes you cry but they make your hands stink! Washing your hands with the regular dishwashing liquid doesn’t always take the smell away completely, and it also dries out your skin. For someone who spends a lot of time in the kitchen, a homemade kitchen hand scrub could be a fantastic gift to place beside the sink: it’s made from natural ingredients, gets rid of pesky smells, and exfoliates and moisturizes all in one. 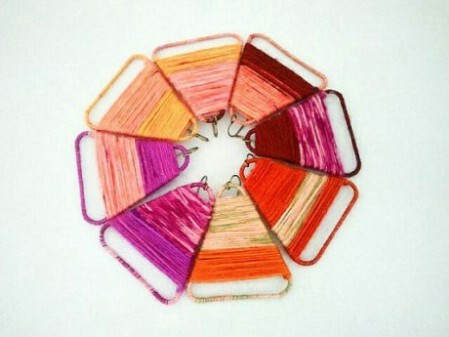 What can you make from embroidery floss (or string), two paper clips and two earring clips? A pair of really beautiful earrings, of course. It’s really fun to play around with colors, and since it’s so cheap and easy to make, you don’t have to decide on just one color scheme; make a few! We love the minimalist approach of this art piece; despite its simplicity, it really makes an impact on the wall. Of course, you can use any fabric that you want for the backdrop, but we really like the rustic feel that you get from burlap. 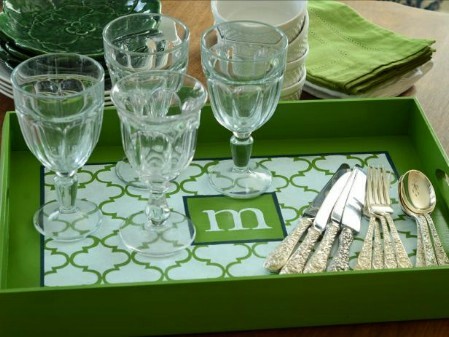 Get your hands on a plain wooden serving tray and give it some life with a custom paint job. If you’re not keen on the monogram idea you can give it your own twist with a saying, perhaps, or maybe even a picture from a cool stencil you have or find. 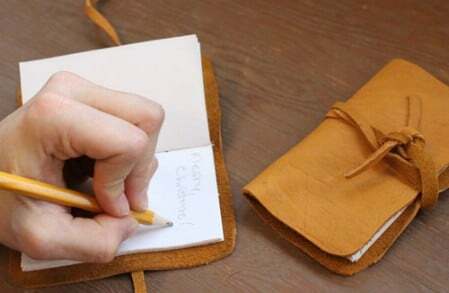 This rustic-looking sketchbook isn’t limited to just the artistic ones around you; it can also serve as a notebook for recipes, thoughts, inspirational quotes, or anyone who loves to jot things down or doodle. It looks like something you’d buy from a quaint upmarket boutique! If you’re looking for something a little more whimsical and fun, these personalized fridge magnets are perfect. You can swap out the heads and bodies for some seriously hilarious mash ups. These paper lantern ornaments are quite readily available, but gifting a homemade one is just so much more special; plus, you can choose your own paper instead of sticking with the traditional oriental theme. There’s a template available so as long as you follow the instructions, not much can go wrong. 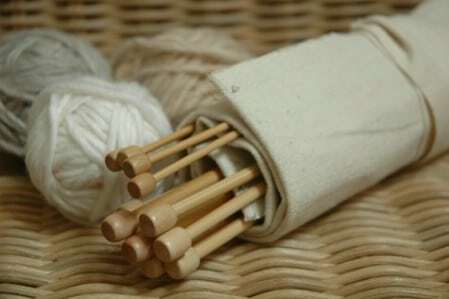 If you know of someone who’s just as crafty as you are, then you know they’ll appreciate this roll-up case to keep all their needles and tools together. We crafters have a bit of a reputation for being messy, so a little more organization wouldn’t hurt. If you have a friend who loves sketching, you could also use this same concept to make a roll-up for all their pencils. 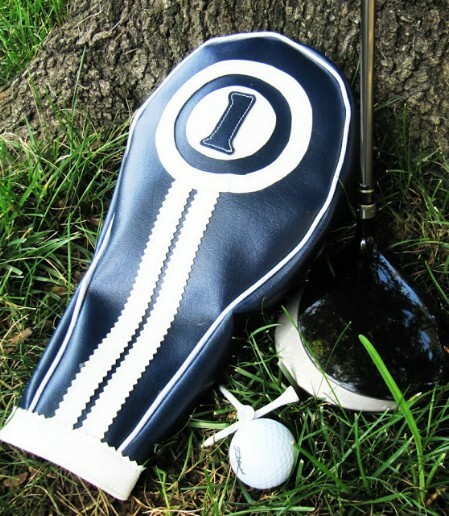 This is absolutely perfect for any keen golfer. We love the vinyl and retro theme, but of course you can play around with the design to suit the recipient. We always drool a little when we see these modern starburst mirrors in the shops, but the price tags never seems to suit our budgets. Thankfully, you can make one of these beauties all by yourself at a much more affordable cost. Guaranteed your friend or family will love it as much as we do. How adorable is that? 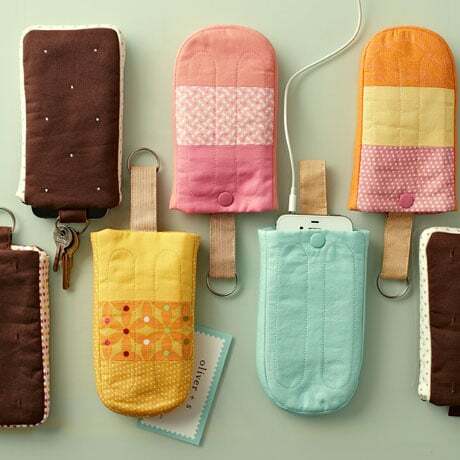 These cute little smartphone cases will make your phone sit snugly inside a sweet little ice cream treat. You can choose between making an ice pop or an ice cream sandwich. This crafty little DIY project comes from Straight Stitch Society and it’s a yummy project for the upcoming summer months. It’s also an easy project which we really love. These would be great for teens or teenagers or just make them for yourself. The case will hold your smartphone and has a place for your keys and credit cards too so you’ll have everything you need in one cute little package. I love this site, so many great ideas!!! some really great ideas. Thanks for sharing. Your blog ( I think that is the term you use) new to this. This is the best blog I’ve seen in such a long time, it is so full of brilliant and practical ideas. Love methods. Have made some of these in the past but differently. Always looking for new ways of working, thank you. I made scrabble tile coasters for my brother in law and my sister also since I had extras.. They turned out great so I figured I’d share the idea with you guys. If you Google how to make scrabble tile coasters you’ll find out how. Hope this give others ideas!! very lovely thank you so much!! 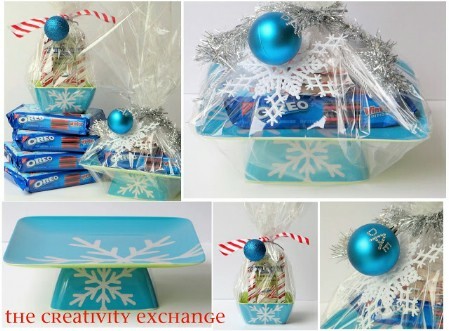 This website is so awesome.There is so many Christmas DIy’s that are really awesome.I love the candy sleigh.I didn’t have any idea what to do.It’s like last minute gifts! I have started a blog and i wanted to do some Diy suggestions, however i wonder about getting in trouble for using a picture that is not mine. Is there anything to do to avoid getting in trouble, or worse, a lawsuit. OMG i love this website!!!!!!!!!!!!!!!!!!! 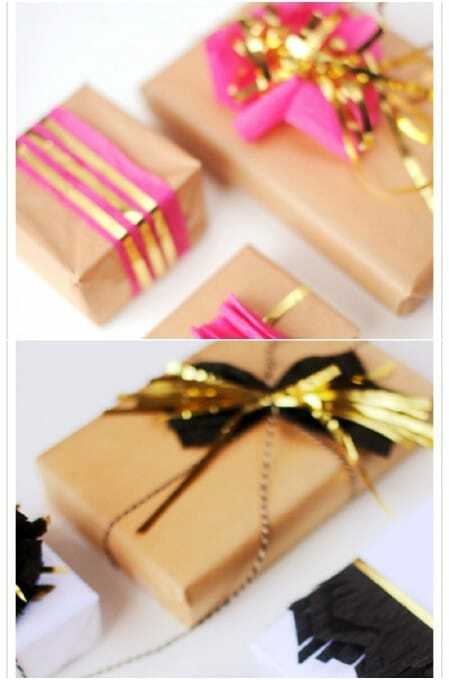 I just started my marathon of gift wrapping and used this tutorial for the first 5 boxes. Thank you so much for posting about this seemingly simple thing. My next couple days will be much easier because of this. Thanks! 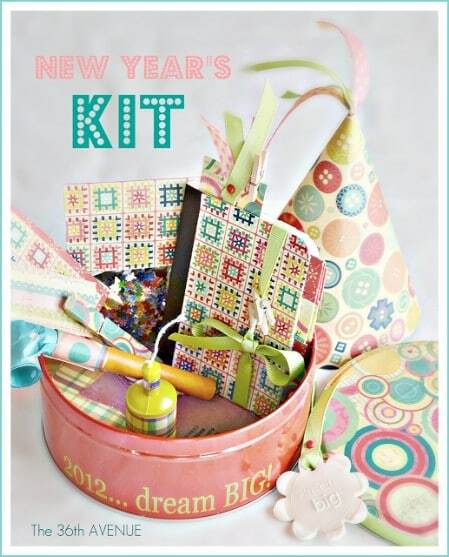 All of these look like such great ideas and fun to make, too! Thank you!